This has been a long week of first days, finding routines, letting go and trying to figure things out. There was so much anticipation on the night before the first day of school and then the night before the second day of school. So much excitement, so much hope. I was determined, as I am every back-to-school season, to be different, be better. I vowed to not lose the Get To Know My Child paperwork, to buy all the right school supplies, to finally find a morning routine that is smooth and doesn't involve anyone yelling. And just like every year, by the second day of school I was um, what my older kids would call a "total fail." I lost paperwork, forgot to buy the damn protractor, only bought one composition notebook instead of three and I yelled a little when I found the kids literally climbing the walls of the porch before school. Total fail. I was yelling at the kids while taking a picture. Because yeah, I'm pretty good at multitasking. 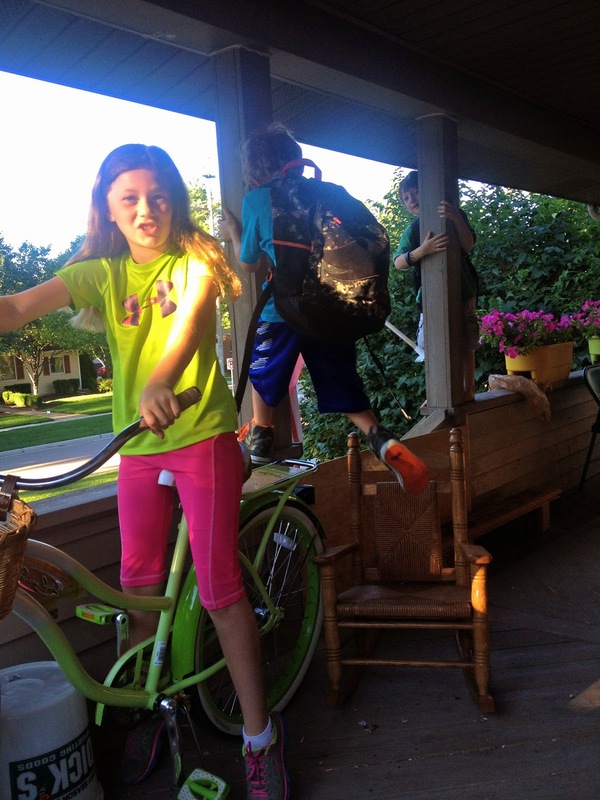 A few years ago, I called these vows of "I will be and do better" Back-To-School Resolutions. You know, like the resolutions people make in January to be and do better. Just like in January, my back-to-school resolutions were seemingly made to be broken. I am very good (and consistent) at breaking resolutions. Back when I first talked about making these autumnal declarations of change, Lucy, a sweet non-eyerolling second grader, misheard me and asked "What are back-to-school revolutions?" I thought that was so cute. But looking around at our week I also think she was right, this time of year is more revolution than resolution. There is so much change, so much breaking away, heading out into the unknown; so many new experiences, new ideas, so much learning and doing. It is filled with hope and anxiety and energy. It is messy and imperfect and uncertain. It is full of setbacks and triumphs. It is overthrowing a schedule, putting in a new regime. Wade heading into his new adventure...PreK. He seems older this week. 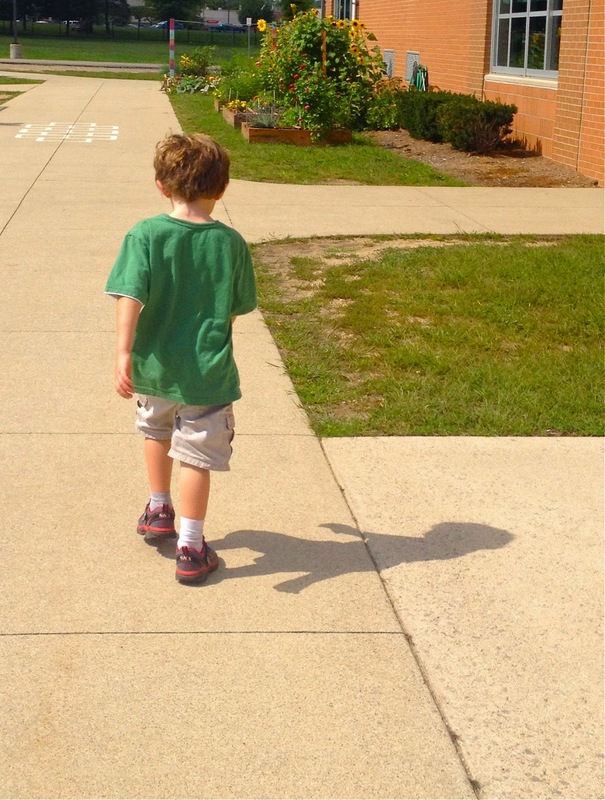 Even his shadow looks more grown up. I don't think I will ever find a morning routine that doesn't involve a little bit of yelling or rushing, but I can handle messy and imperfect and hopeful. And yeah, we are exhausted, but we got this back-to-school revolution, I know that for sure right now. Part of the revolution is acceptance. I accept that some people might think Wade showed up to PreK orientation with messy hair, mismatched socks and a spider tattoo because he is our fourth child. Even when I know that is not the case. The truth is messy hair, mismatched socks and spider tattoos are pretty much who we are. I accept that and pretty much love it. My obsession with Friday Night Lights via Netflix is in full effect. This is the only back-to-school advice I could come up with for the chalkboard. We are in the middle of season three and I'm LOVING it so much. This is a funny football commercial. It's not just back-to-school season, it's football season. Whether you are a fan or not, this commercial is funny. It makes me laugh out loud. I'm still trying to meditate. My last attempt involved me spilling coffee all over me. People meditate with coffee (filled with really bad for you artificial creamer) right? I posted this picture on Instagram and was going to use the hashtag "peaceandlove" and my autocorrect made it "peaceandlice." Yeah, I'm still learning this whole mind, body, peace, zen thang. The winner of the Mala bead bracelet from Little Bird Soul is Jeanna Parks. Congrats Jeanna. I'm cool with Pumpkin Spice Lattes. People are upset that we are rushing fall and I say who cares. I won't order a special fall drink until the leaves start to change, but if people want to and it makes them happy I say do it. Just like the people that have already started counting down days until Christmas, it's not my thing, but if it brings you joy....go for it. Imaginary friends have gotten very tech savvy. Wade uses his fake phone to "text Frank" all the time. Yup, this is what having an imaginary friend looks like in 2014. And yup, he is wearing his snowman Christmas pjs and it's the first week of September. What do YOU know for sure this week, right now? Are you embracing the revolution? Share it here or over on my Facebook page. Come follow me on Instagram. Ha ha about the imaginary friend! And I love that you said his shadow even looks bigger. So sweet. I like the idea of a revolution. We all need those to shake up our lives every now and then. Here's to shaking things up!!! YES, a revolution! And I'm all for messy hair, mismatched socks and tattoos, because they are only small once (even though *sob* yes, even their shadows look more grown up). Thank you for not judging my kids' mismatched socks and messy hair. :) I sound so cliche but it all goes so fast. I am going to relive the baby stage through you and your twins. I'm so excited for you. :Yeah for Little Bird Soul Mala Beads! 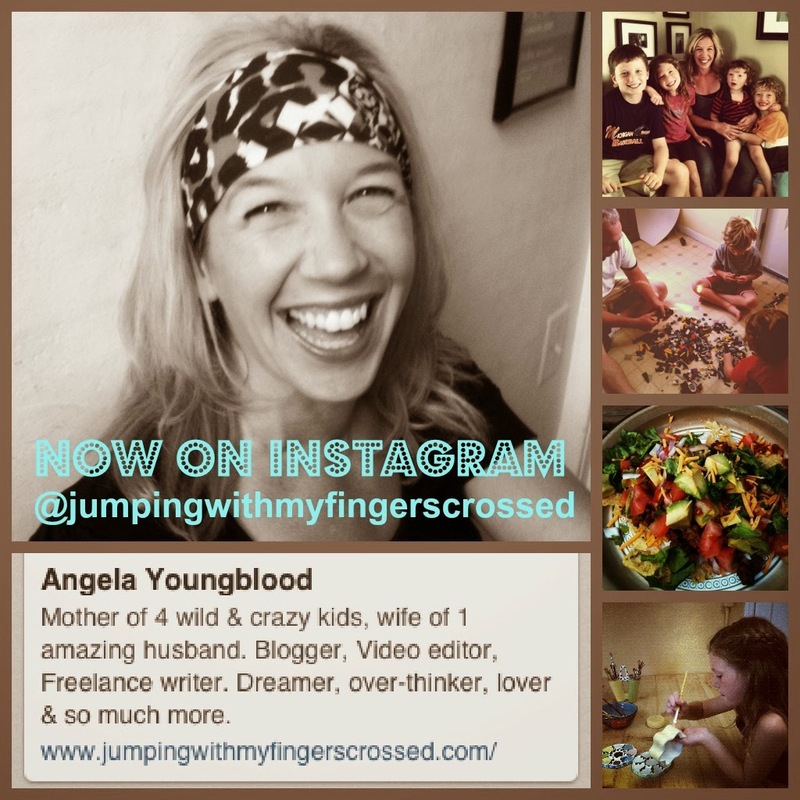 They are coming to a house with three kids, a mom who NEVER matches anyone's socks (unless they are hand knit by Aunt Tanya), and would like to learn how to meditate and multitask (at the same time)...that is possible...right?.....right?? ?